This book is hilarious. But let me start out by saying that this story isn't, in fact, "absolutely true." It's a novel. It's fiction. 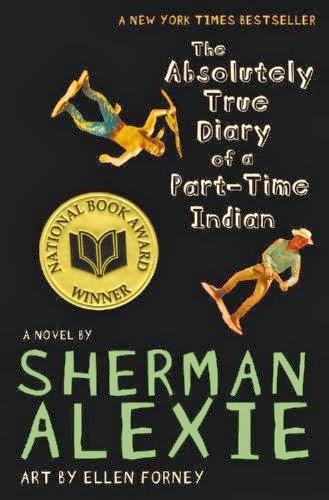 However, the author Sherman Alexie did, indeed, grow up on the Spokane reservation called Wellpinit, just like his narrator. He was born with the same medical condition that could have rendered him a brain dead vegetable at only 6-months-old. And he did, indeed, transfer to the white school 30 miles down the road (something that was unheard of in his tribe.) So Alexie welded together a collection of his experiences to create a semi-autobiographical portrait of what it's like to grow up as Native American teenager on a reservation where everyone thinks you've betrayed your culture. googling "how to make a white girl fall in love with you"
and grandmothers who wear basketball sneakers "because she's got mad skills." 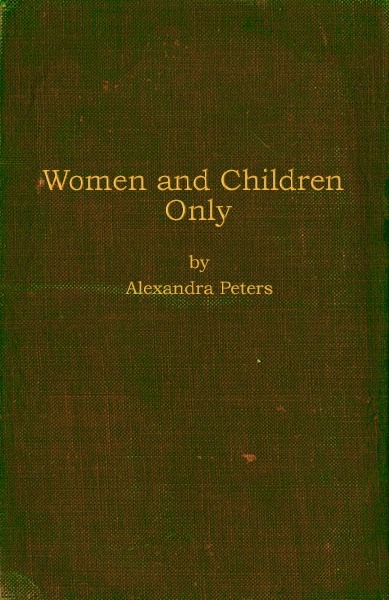 Today's short story is by The Lone Book Club's own Alex Peters. A study in brevity, the story jumps into action, asking a seemingly unanswerable question of our narrator, then slows as the choice torments her. I have an important job this week. I know that right now you are seeing the cover art of the book I am about to review, and I will bet you rolled your eyes when you first saw it. You were tempted to scroll right past it, knowing full well that no matter what I write, this book cannot change what it is, and what it unknowingly promises to be to every reader that opens it. I was just like you a couple of days ago, when I started this book. I chose to read this book for the purpose of challenging my ability to review fiction. Up until this point, I have given positive reviews of every book that I have read, and I think it is in my nature to do so. So, I wanted to pose a challenge to myself to read a book that I most certainly would not enjoy, and this book sort of fell into my lap. In my first sitting with the book, I read 30% (my Kindle has caused me to see books in percentages instead of pages. I don’t know how I feel about this). At 30%, I was positive that this review would be a scathing one. 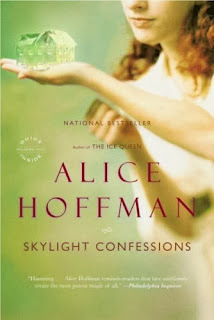 The book was bland, contrived and painfully slow, and I was contemplating giving up and choosing something else. 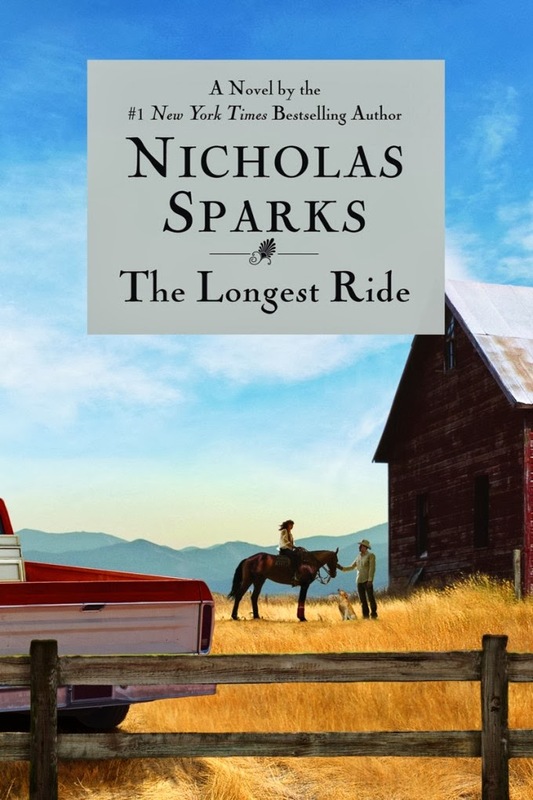 But I RARELY give up on a book, and so, with a little help from my earbuds and the Dear John score (to set the mood), I persevered. Our first short story!! Hooray! 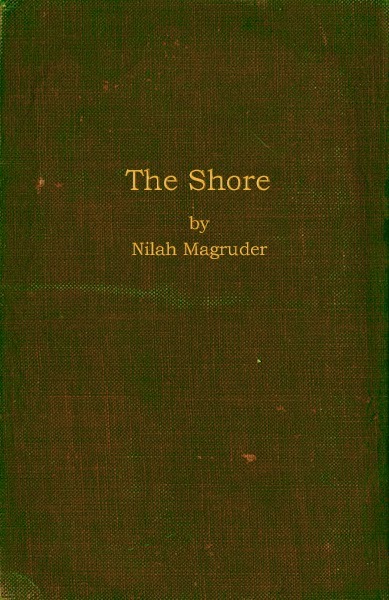 We are so excited to add this new content and we couldn't think of a better story to start it off with than The Shore by Nilah Magruder. A poignant and thought-provoking piece, The Shore is a reflection on life and that inevitable moment when we must leave it behind. That's right! We're going to be bringing our own original short stories to you! Every once in a while instead of a Wednesday blog post, there will be a short story post instead. 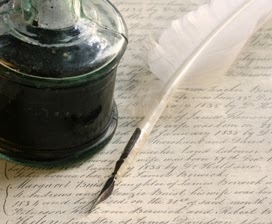 Maybe it will be written by one of us, maybe it will be a guest author... which leads us to the really exciting part! We will now be taking submissions for YOUR short story! It must be between 1000-2000 words and it must be original content created by you. Please no fan fiction. If you are interested, send us a message using our Contact tab. Please do not post your entire story in the message. Only include your name, email, and a short synopsis of your story. We will contact you further for the whole body of work. We are very excited to add this creative feature to the blog and hope that you will enjoy it as much as us. Stay tuned for the first short story coming later today! The Signature of All Things by Elizabeth Gilbert is not an easy read. It is slow and rambling, depressing and difficult. With endless references to science, facts, and people that a liberal arts education does not provide knowledge of, it's a challenge. But if you're willing to put in the work, you will read a beautifully written and honest book that takes a look at life through a pair of brilliant eyes. I didn't know I was a bad book blogger...but turns out for almost two years, I was. Don't worry, I fixed the situation and am back to believing myself a good book blogger, that is until something else comes about to shake my foundation. But I'll stop being cryptic and just tell you what happened. I, a huge fan of The Giver and The Giver Series, did not know that the fourth and final book had been released all the way back in 2012. It may not seem like a big deal to you, but to me, to all of us at The Lone Book Club, it's pretty major. Our traveling book project for goodness sake is about spreading The Giver from reader to reader. So yes, not knowing the final book was out was a major faux pas. But as I said, I rectified being such an out-of-the-loop blogger and read the entire series over again and finished it by reading the finale a few years late. So in reality, this post isn't actually about how bad of a blogger I am, because we really want you to keep reading with confidence. It's about how after years and years, The Giver series is still one of the most influential and important series of books of our time. It is for all ages referring to both age of humans and ages of history. 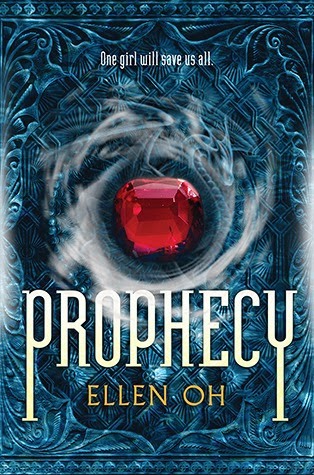 On New Year’s Eve, HarperTeen released Warrior, the sequel to Ellen Oh’s epic fantasy Prophecy. I missed out on reading Prophecy when it came out, but the release of its sequel seemed like a good opportunity to go back and check it out. Besides, I’m a sucker for a good fantasy adventure. Seventeen-year-old Kira is a demon hunter, hated and feared by all the citizens of Hansong even though she’s devoted her life to protecting them from the demons that plague their kingdom. They don’t know about the monsters walking among them disguised as humans: they only know Kira's eerie yellow eyes, and that she seemingly attacked their beloved young prince years ago. Now Hansong has been overthrown, and one by one the Seven Kingdoms are falling to the dark forces of the Demon Lord. Kira flees Hansong with prince Taejo and a small band of soldiers. Together, they embark on a quest to find a legendary warrior. Only the Dragon Musado can unite the kingdoms and defeat the Demon Lord. Yes we know that it's the second week of January, but so what? It's still early enough to get our New Years Resolutions in! 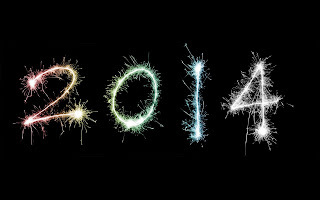 For 2014 we've set ourselves some literary goals and decided to share them with you! We couldn't think of a good picture of New Years Resolutions, so you get a cat instead! Write more, and write frequently. I have a habit of pushing it off for weeks at a time, and I'd like to change that. I'm committing to at least 2,000 words a week. In addition to my regular reading resolutions of the year which always include reading more, making time to re-read the entire Harry Potter series, and trying to revisit at least one other book/series, I'm going to read Atlas Shrugged. Yes, really, I'm going to do it. All the way through. How I'm going to make our regular review schedule and fit in this monster of a book, I don't know! It will be an adventure. It may be a long, hard, and possibly tear inducing adventure, but I tried to start this journey in 2013, so I'm definitely going to finish it in 2014! I have a number of new years resolutions for 2014--among them: don't get the flu again, join a protest, learn how to braid my hair, eat less pastrami, and of course, read more. Specifically, I'd like to read more books written by non-American authors (or at least books that portray non-American cultures). I spent my New Years with some Venezuelan friends, who have a tradition of rolling their suitcases across the street at midnight in order to ensure a year of good travel. And since, above all, I plan to travel much in the new year, I think some new perspectives will go along well with my new experiences. My suitcase is full of books, and I plan to to share them with you. I plan to read a more diverse collection of genres this year. I tend to stick to what I know, and I would like to branch out. I also would like to revisit at least three books that I feel have influenced me as some point in my life, and see how I feel about them now. While I rarely read a book twice, I think it will be interesting to see how my opinions change with each new read, since I am constantly changing. I think gaining a new perspective is almost as good as reading a new story. There you have it, our New Years Reading Resolutions. May they lead us on great adventures toward literary discoveries that we will be able to share with all of you. Happy Reading! Alice Hoffman has been known for her fairytale-like narratives, but the one word that stands out to me when I think about Skylight Confessions is "haunting." 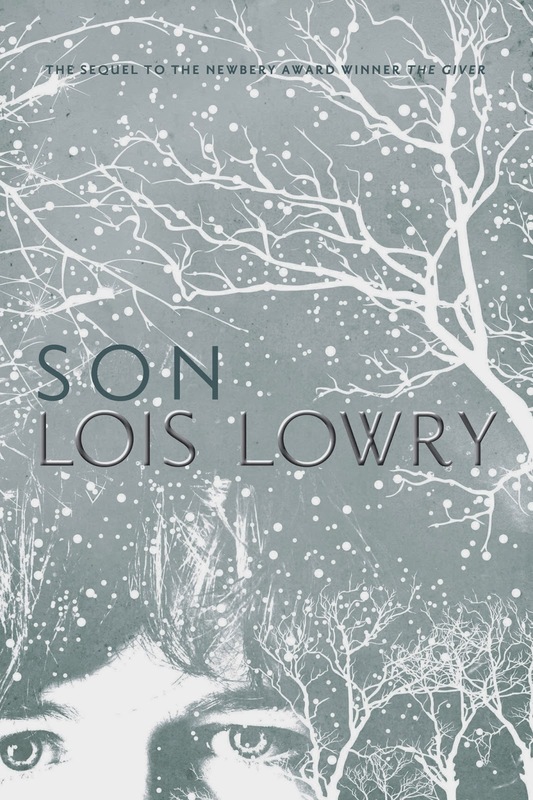 What I like about this book is that it isn't at all what it seems, and if you're a fan of complex fairy-tales, this is one that will make you question what it really takes to reach a happy ending. Happy New Year!!!!! We hope everyone had a wonderful New Year's Eve and aren't hurting too badly this New Year's Day. To ring in the new year and say farewell to the old, we've put together a group of our favorite quotes from books we read in 2013. So here they are, in no particular order, just a few sentences from some great books that will continue to inspire us long into 2014.